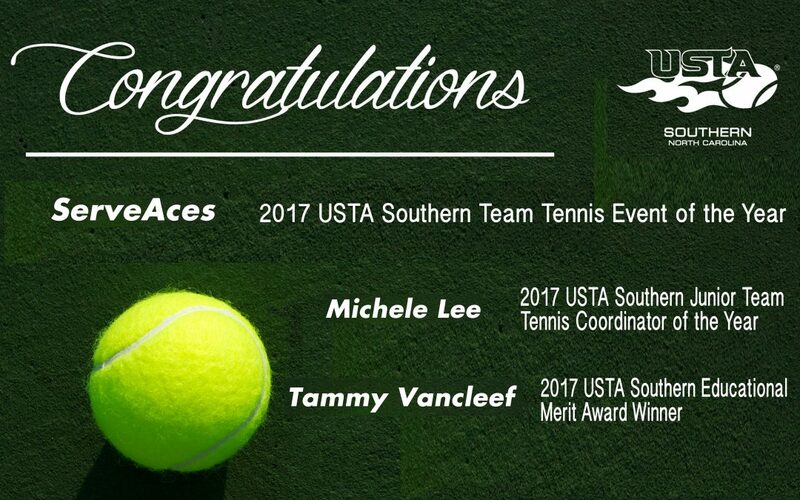 An award for BEST in USTA Southern means you/we are the BEST out of the 9 states that make up the USTA Southern Region! NC, SC, GA, AL, TN, MS LA, AR and KY! 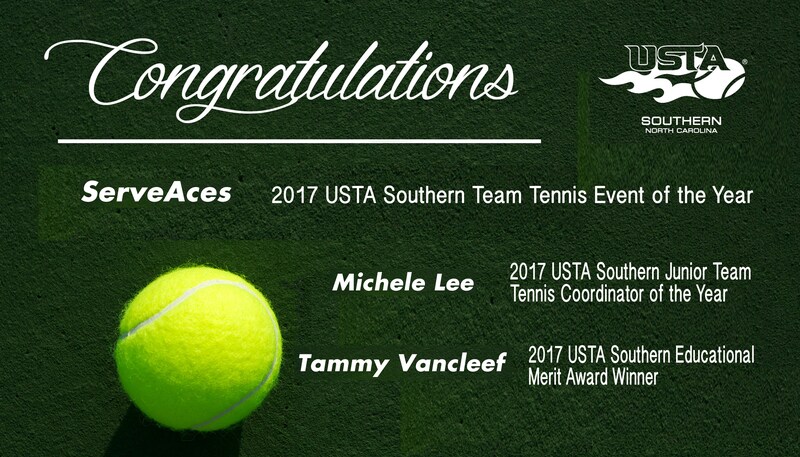 Congratulations to: Amy Brandon (Servaces), Michele Lee and Tammy Van Cleef. We are so proud and LUCKY to have you!